The exam centre for CA Foundation 2019 will be decided by the conducting authority i.e. 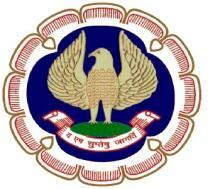 Institute of Chartered Accountants of India (ICAI). You can choose any 3 preferred exam cities while filling the CA Foundation 2019 Application Form. The seats will be allotted to you based on the availability. You must carry the CA Foundation 2019 Admit Card along with any government ID proof (Voter ID, Aadhar Card, Driving License, PAN Card) for identity proof. If you failed to show the Admit Card and Government ID to the exam centre staff, you will not be allowed to write the examination. If you came to the exam centre after the time which has been mentioned on the admit card will not be allowed to appear for the examination. The details of the Exam Centre will be given in the candidates Admit Card.